This post has been sponsored by Blueprint Social and ILTC. All opinions are my own. 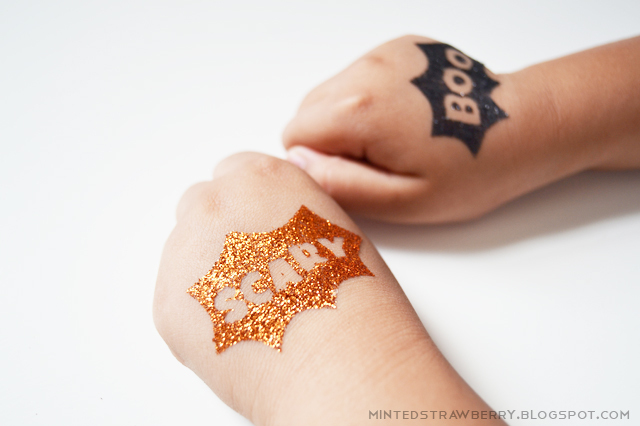 I recently got the chance to try out Tulip Body Art's glitter tattoo kits and I must say they're so fun to use. 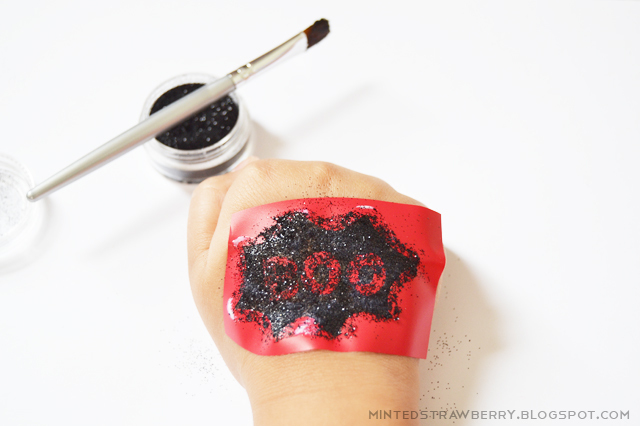 The professional quality paints and glitter kits they have are perfect for Halloween - whether you are aiming for a cutesy outftit or a full-on scary attire. They have tons of different colors available and if you're not good with make-up (as I am), you can always get their stencils (which I have snapped a photo of in this post). 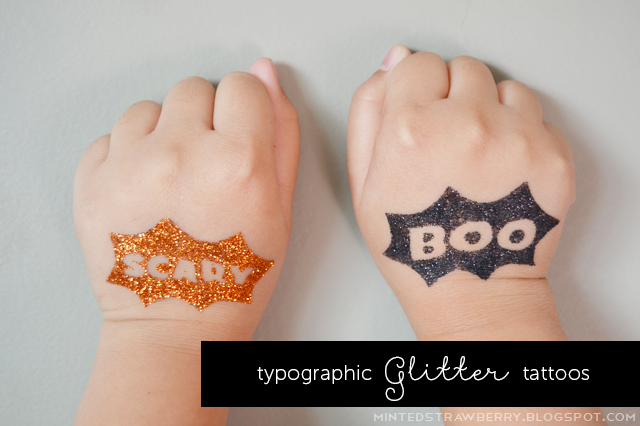 As you all know, I always go for the cutesy Halloween stuff over the scary ones, so I guess it's no surprise for you that I came up with this idea - I guess this is more typographic than cute, but still Halloween-y, am I right? 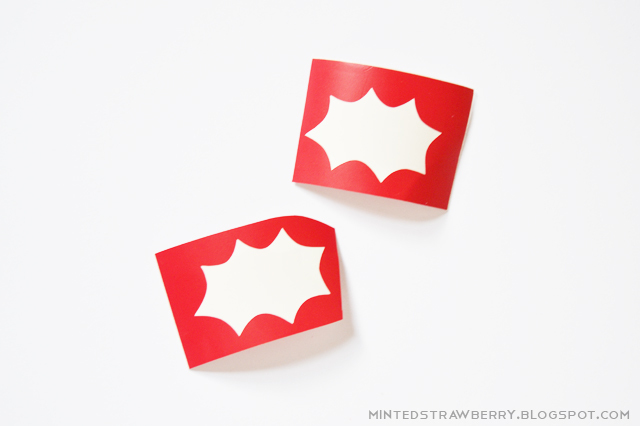 First, cut an 'explosive' pattern onto your contact paper or vinyl. You can sketch out how you want this to look like, but make sure it's bigger than your stick-on letters. Alternatively, you can have a die-cutting machine do it for you. 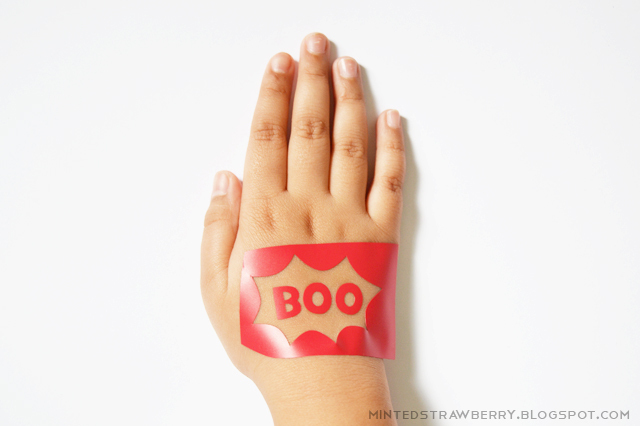 Stick it onto your desired tattoo location - I chose to model these on my little sister's hands as it's easier to take photos of her hands than mine. Place your desired text onto the middle of your 'explosion' pattern. Fill in exposed skin with body glue, working fast to cover the whole area. I find that it doesn't dry that quickly, but still - make haste. 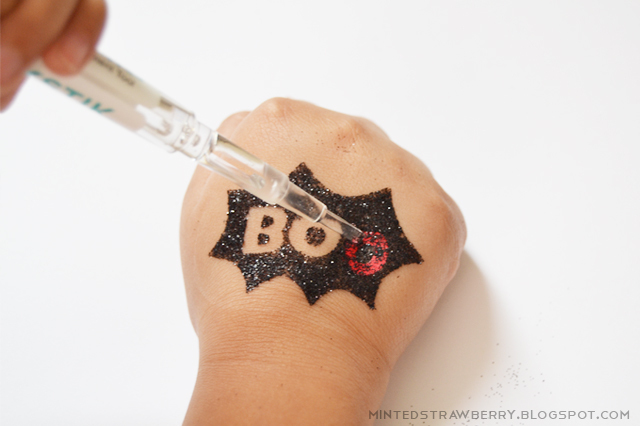 Using the brush provided in the kit, add your glitter. Doing this part was really fun! 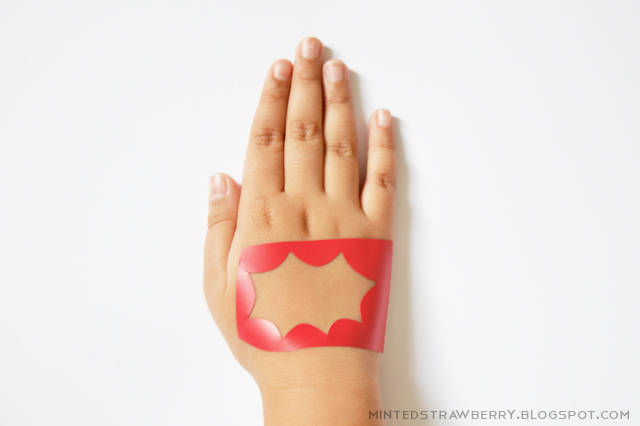 Peel off your stencil - using a pointy object to take off the letters part and you are done! I was pleasantly surprised that this doesn't wash off easily with just water. 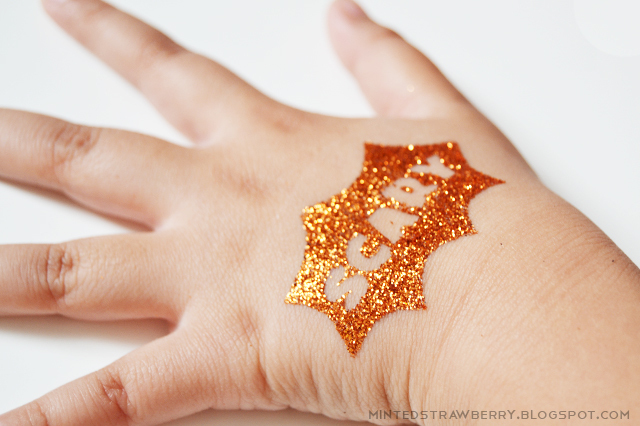 It's guaranteed to stay on your skin until you actively try to wash it off! It's awesome. I really loved the color of the copper glitter, but the text shows up better on the black. What do you guys think? Don't want to bother with making your own design? 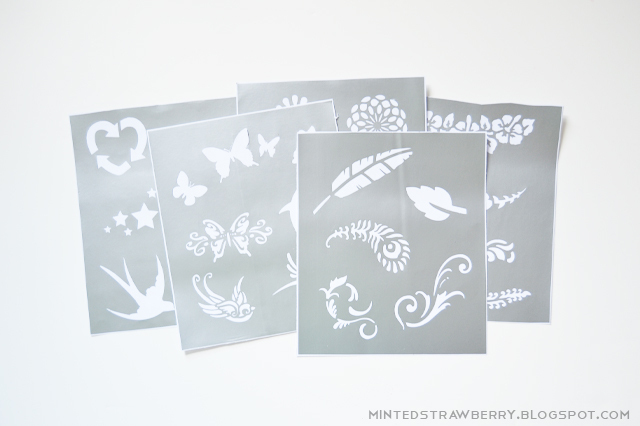 Tulip has a ton of stencils to choose from - from they have some included in their glitter tattoo kits and some you can purchase separately. 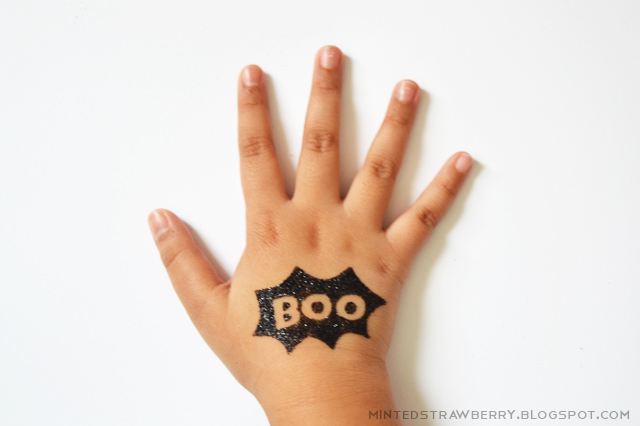 Check out what other bloggers did with Tulip Body Paint! Hey! 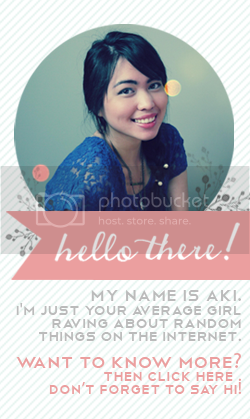 Such a nice blog Thanks for sharing this.